I hope you’re all feeling well recovered from your race efforts this weekend, because we’re going to hit it pretty hard today. 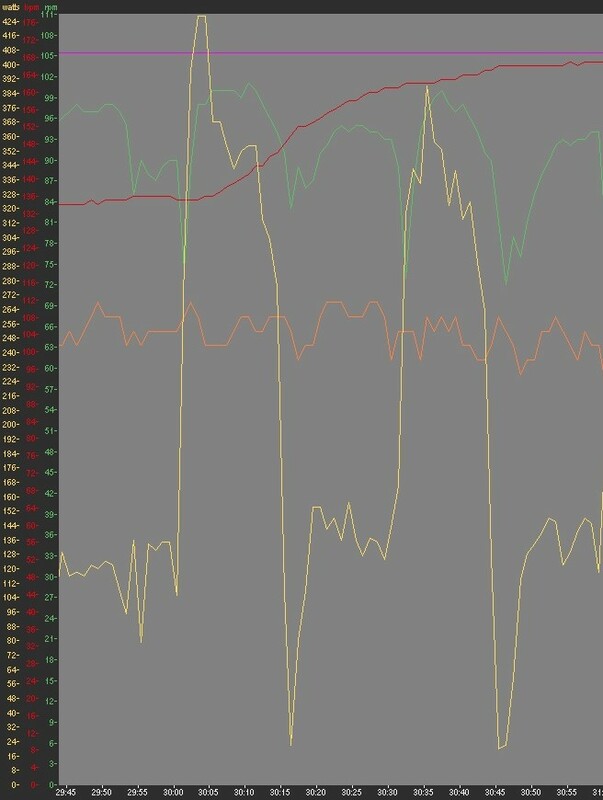 Ideally, you’ll hit these on periods at right about 150% of your FTP, if that’s a number that means anything to you. If it doesn’t, it’s harder than what you’re dong your 2×20 effort at. Actually, it’s a lot harder. Roughly 50% harder. ~ by crosssports on November 10, 2015.